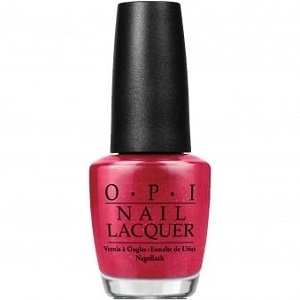 OPI Nail Polish, Fire Escape Rendezvous, HRH09, .50 fl. oz. Ruby red nail color mixed with multi-sized, multi-shaped glitter that dries to a semi-matte finish.